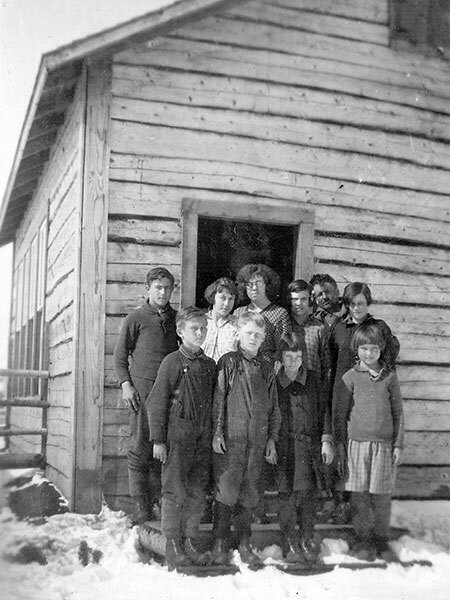 The Poplar Bay School District was organized formally in December 1927 and a one-room schoolhouse operated at the southwest corner of NW17-16-13E in the Rural Municipality of Alexander. Closed around 1957, the district was dissolved in 1967 and its catchment area became part of the Lac du Bonnet Consolidated School District and later the Agassiz School Division. GR8461, A0233, C131-3, page 111. School District Formation Files [Poplar Bay School District No. 2175], GR1688, E0027, Archives of Manitoba. We thank Randy Raban for providing additional information used here.